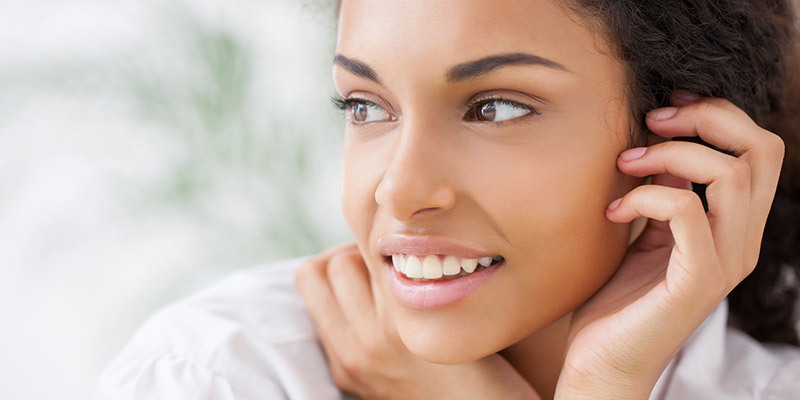 Knowing the key components of skin and what characteristics make your skin unique can help you to choose the most appropriate products to optimize skin health and beauty. Here is an overview of skin anatomy and how each level plays a role in choosing the proper skincare products. You can learn more in my book Cosmeceuticals and Cosmetic Ingredients or subscribe to Youtube.com/SkinTypeSolutions. Epidermis: The outermost layer of your skin is called the epidermis. This layer is comprised of cells called keratinocytes that form a structure similar to that of a brick wall. The cells at the base of the “wall” are newer. They are born at the bottom from stem cells and then move to the skin;s surface in a process called “keratinization”. The keratinocytes (skin cells) at the top of the epidermis are older and ready to flake off in a process called “desquamation”. See my favorite YouTube video here using the Chinese wall as an analogy. The epidermis reflects light which makes skin radiant. If the epidermal water content is low (dehydration), the keratinization process is impaired and the cells do not desquamate. Instead they cling to the skin’s surface making it rough and less able to reflect light. Most cosmeceuticals work here and never penetrate deeper into the dermal layers. Dermis: The dermis is the middle layer of skin. It contains specialized cells called fibroblasts. These cells manufacture collagen, elastin, heparan sulfate and hyaluronic acid which play key roles in the health and appearance of your skin. As your skin ages, the number of operating fibroblast cells begins to decline and the remaining fibroblasts get lazy and slow down production of collagen, hyaluronic acid and heparan sulfate. This leads to skin thinning, fragility, fine lines, wrinkles, easy bruising and sagging of skin. Most topically applied products do not penetrate down into this layer, however, retinoids such as retinol are able to penetrate this deeply into the skin. Hormones such as estrogen also easily penetrate down to this layer. Stem cells, peptides, hyaluronic acid and other ingredients do not penetrate down into the dermal skin layer. Hypodermis: The hypodermis, as the name implies, is below the dermis. It is the deepest layer of skin and is made up of subcutaneous fat. This layer is too deep to be affected by topical skincare products. Sometimes this layer is referred to as subcutaneous fat. Collagen: There are many different types of collagen, but collagen Type 1 and 3 are the ones that play the most important roles in the dermis providing the skin with strength and structure. Collagen is made by fibroblast cells in a process that is dependent upon the presence of ascorbic acid or Vitamin C. We know for certain that Type 1 and Type 3 collagen levels are important in the skin’s appearance. Cosmeceutical Ingredients to Increase Collagen in Skin: Studies show that when ascorbic acid is added to fibroblast cultures, the production of collagen increases. Retinoids increase collagen synthesis by fibroblasts by upregulating the genes responsible for collagen production and turning off the genes that produce an enzyme that breaks down collagen (collagenase). Glycolic acid also has been shown to stimulate fibroblast cells to make collagen. Oral supplements and collagen drinks: Collagen will not penetrate into skin when applied topically and drinking it orally will not increase Types 1 and 3 collagen levels. Cosmetic Procedures to Increase Collagen in Skin: Various dermal filler injections (hyaluronic acid and polylactic acid), lasers and lights, and microneedling can also stimulate collagen production. Elastin: Elastin is the component of the skin responsible for elasticity or bounce back of the skin. Skin sags when elastin levels go down in the skin. After puberty, our skin begins to produce less and less elastin, which is why older skin is not as supple and elastic as younger skin. Elastin is formed as a precursor called tropoelastin which then must be modified by the cell to form mature elastin which is complexed with other elastin fibers. This complicated process is hard to mimic or stimulate with medications, cosmeceuticals or procedures. For this reason, there are no methods that work to increase elastin composition of skin. The best thing to do is prevent elastin loss by using sun protection and antioxidants. Hyaluronic acid: Hyaluronic acid (HA) is a specific type of sugar that is naturally present in your skin. It has the ability to bind to and retain up to 1,000 times its weight in water molecules. It plumps the skin and gives it volume. Cosmeceutical Ingredients to Increase Hyaluronic Acid in Skin: Glycolic acid has been shown to increase hyaluronic acid levels in skin. Glucosamine is another ingredient that is believed to increase hyaluronic acid levels in skin. Most formulations of topical hyaluronic acid do not penetrate into the skin because the molecule is too large. Many companies claim to have solved this issue by using liposomal vehicles or other penetration enhancing ingredients but it is difficult to give you guidelines on how to know which are good. Oral supplements: Many studies support the use of oral glucosamine supplements to increase HA production in joints. It is likely that these increase HA in the skin as well. Cosmetic Procedures to Increase Hyaluronic Acid in Skin: HA is commonly used in dermal fillers like Juvéderm, Vollure, Voluma, Volbella and Restylane to give the skin a smoother and more plumped appearance. Here is a video on YouTube of a young patient having HA injections to add volume to the lips. Heparan Sulfate: Is a glycosaminoglycan that helps cells “hear” important signals better. Heparan sulfate does this by helping growth factors reach their targets on fibroblast cells, stimulating the fibroblasts to make collagen. Here is a recent article that I wrote on the complicated but interesting science of heparan sulfate. There is a new line of heparan sulfate analogue containing skincare products on the market to treat aged skin. Although they are very new, there is already interesting data about the positive effects on aged skin. Natural moisturizing factor: Natural moisturizing factor, or NMF, typically exists within the keratinocytes of outermost layer of the epidermis. (This area is called the stratum corneum). NMF is primarily comprised of amino acids. It is inside your cells and helps them hold onto water. If you don’t have enough NMF, your skin will have difficulty retaining water and will become dehydrated unless you have other things such as a strong lipid barrier or excessive sebum production to help your cells hold onto water. Click here to see a video about NMF on YouTube. If you love the science and want to learn more, check out my book Cosmeceuticals and Cosmetic Ingredients. As you can see, your skin is a very complex organ made up of many moving parts. Therefore, it’s crucial that you use the right skincare products for your skin type. Otherwise, you could cause more harm than good. It is important for you to find a doctor you can trust to give you the proper medical advice on skincare. Click here to find a doctor in your area that uses my Skin Type Solutions System to diagnose your Baumann Skin Type® and prescribe the proper skincare regimen for your skin type. Do you have a question about the way the skin works that isn’t answered here? Feel free to post it on our Facebook page! If you’re looking to start with skincare products to help improve your complexion, you’ll need to know which of the 16 Baumann Skin Types you are in order to choose the most appropriate products. To find a doctor in your area who can diagnose your Baumann Skin Type click here. Dr. Leslie Baumann, M.D. and her team at Baumann Cosmetic Dermatology believe in proof, not promises. World-recognized for both cosmetic and general dermatology, our treatment strategies rely exclusively on evidence-based, scientifically verified products and procedures that promote skin health and a natural appearance. We combine effective medical procedures with individualized instruction on proper skincare, nutrition, supplementation and lifestyle in order to maximize the health of the skin and body as a whole while minimizing the effects of aging. For more, visit Dr. Baumann’s blog for daily updates Monday through Friday, or inquire about an appointment through Derm.net.